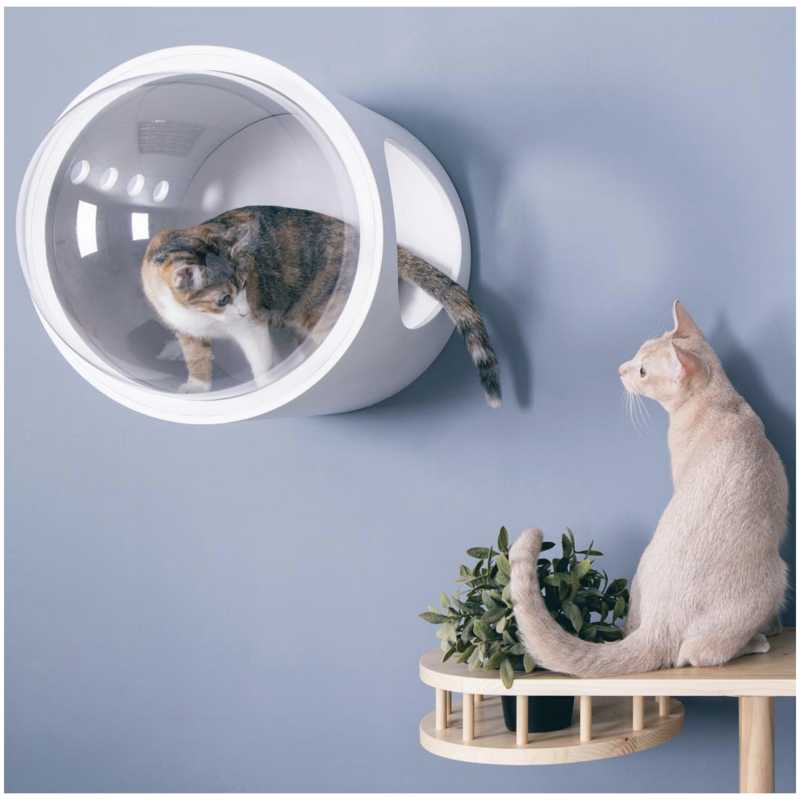 One small step for cats, one giant leap for felines everywhere! 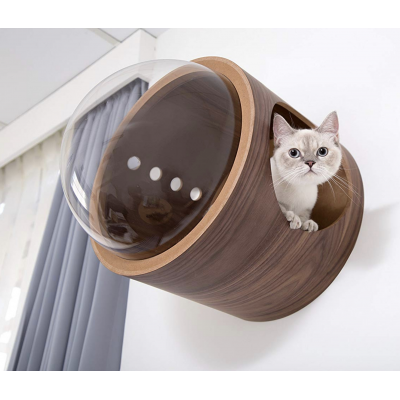 The Spaceship Gamma Ultra Modern Cat Bed is a sleek new home for your pampered pets! 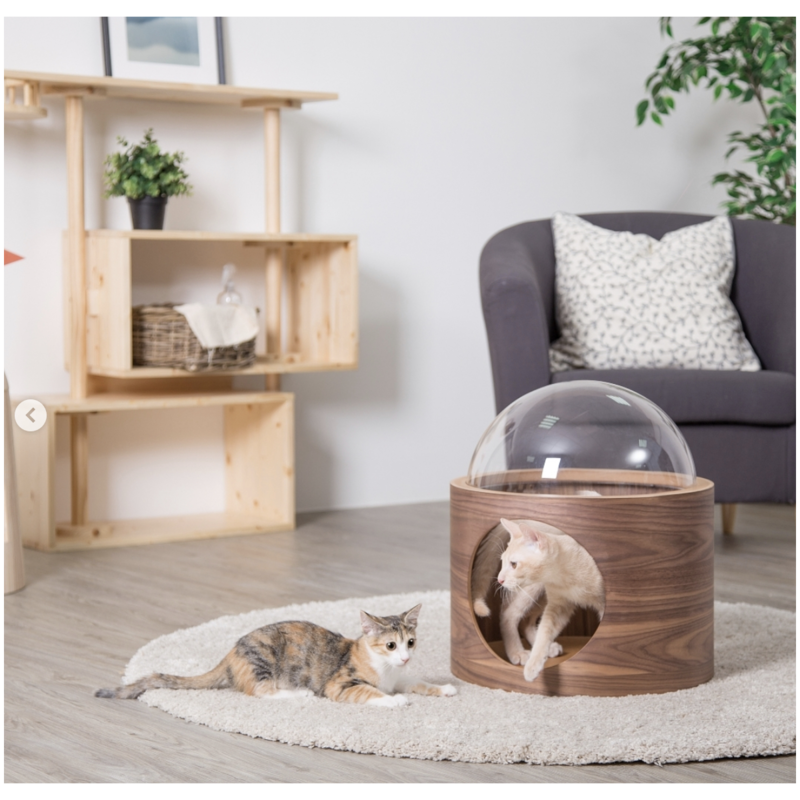 Rigorous field testing and extensive design has resulted in an amazing pet bed that's as much a work of art as a comfortable lounge and sleep space for your cat or small dog. 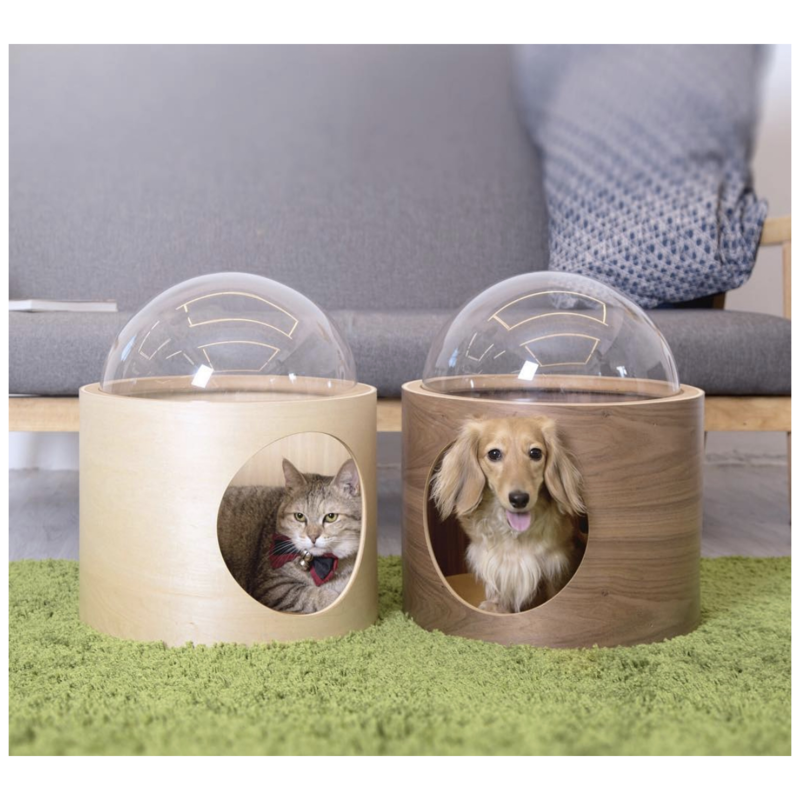 A true conversation piece, pet owners can enjoy an accessory that complements their decor rather than detracts from it! 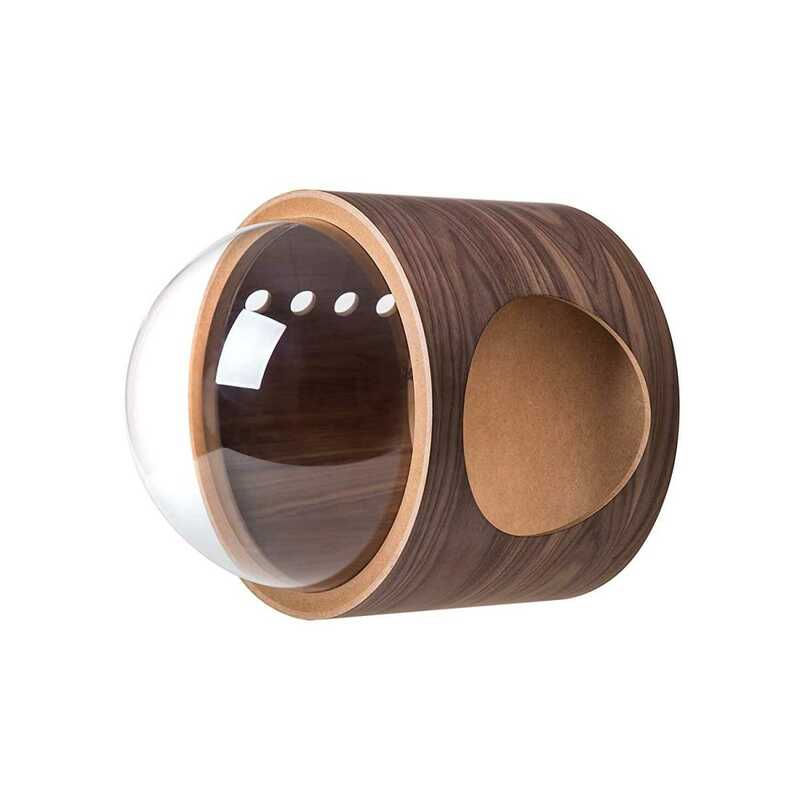 The Gamma Ultra Modern Bed is a component in the Spaceship series. 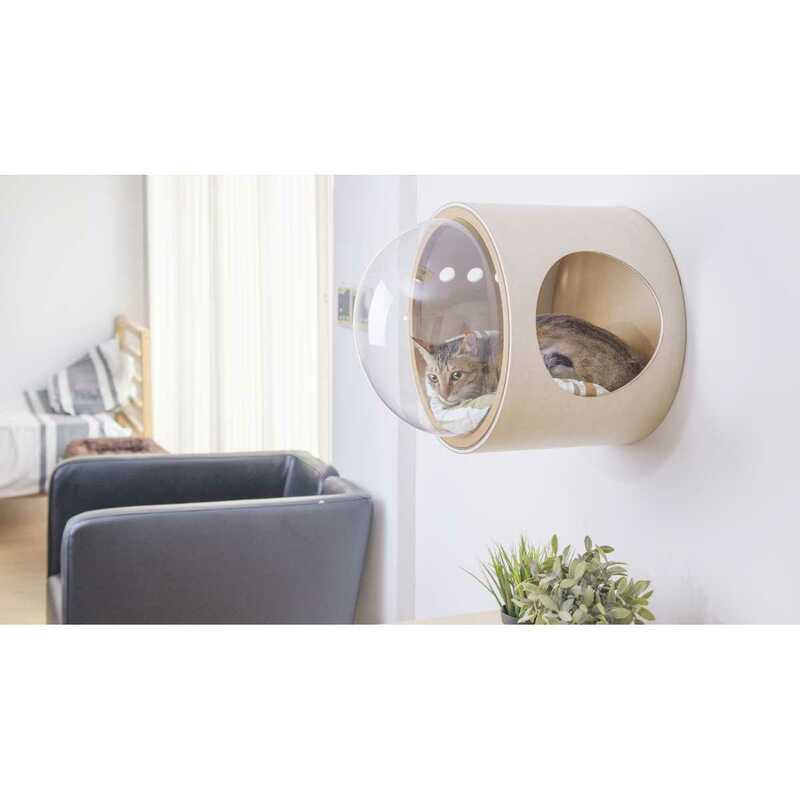 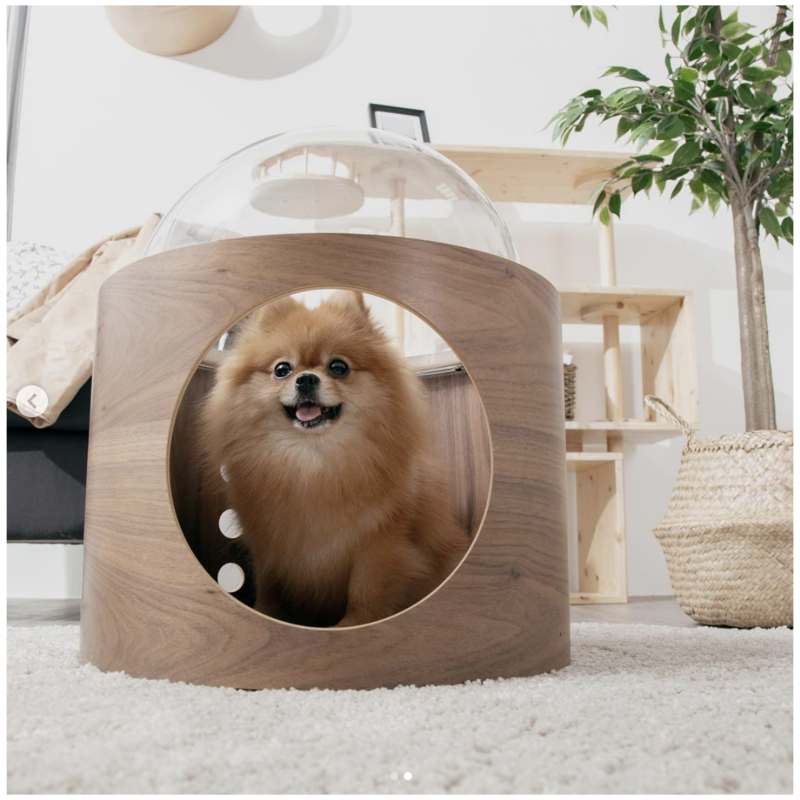 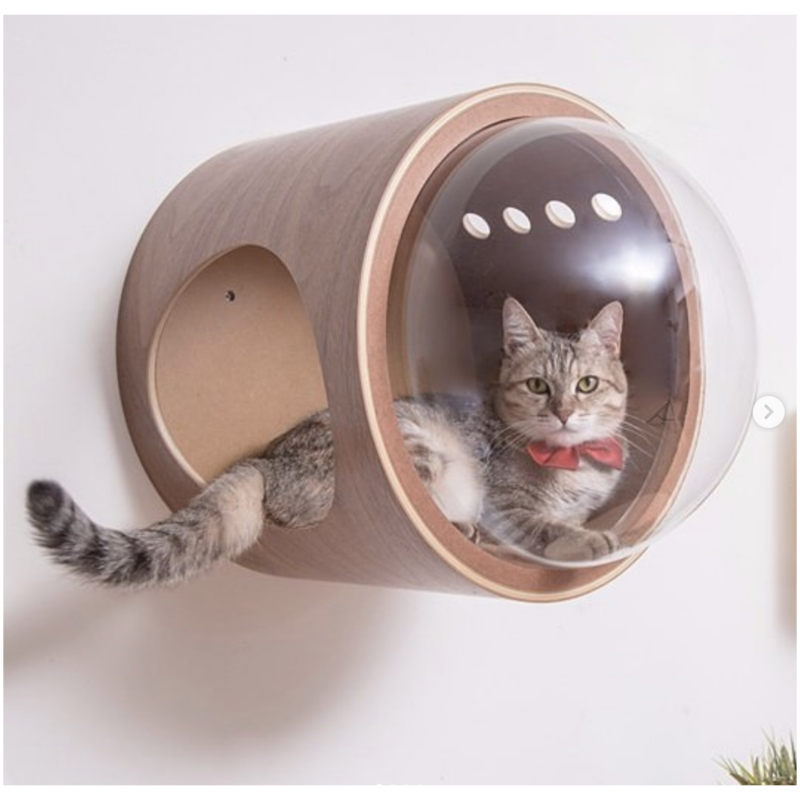 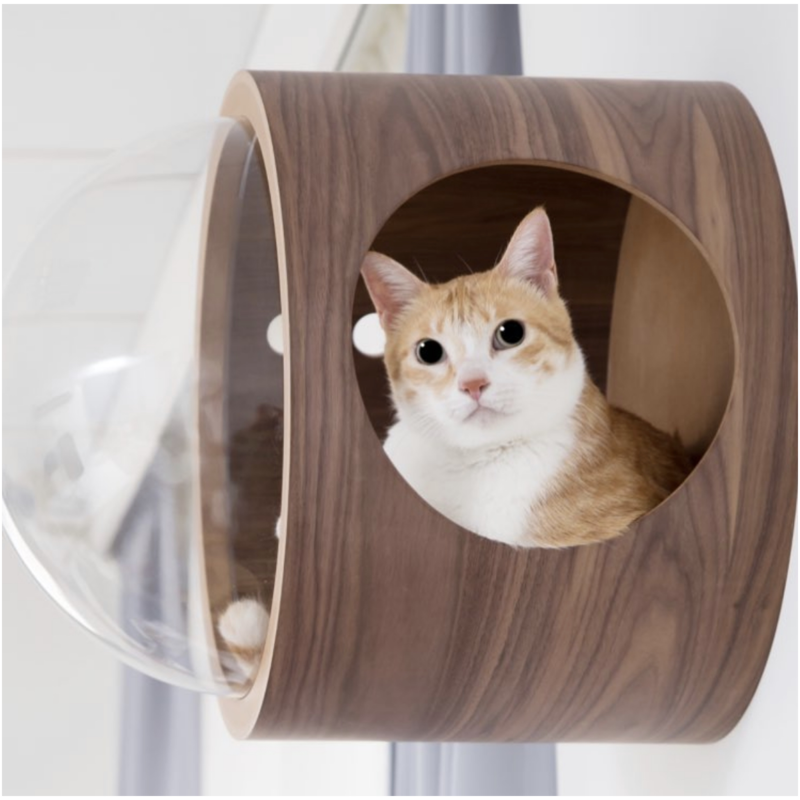 Its transparent acrylic lookout provides a comfortable, smooth, rounded sleep environment as well as a lookout for your cat or dog. 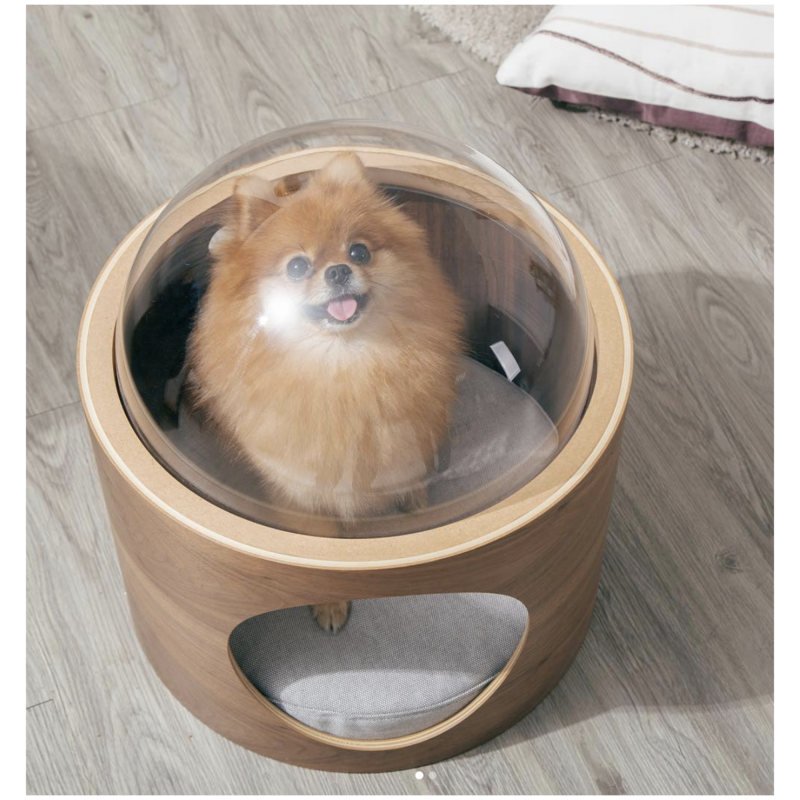 Even better, the clear bubble provides those on the "outside" a whimsical view of the Spaceship Alpha's occupant! 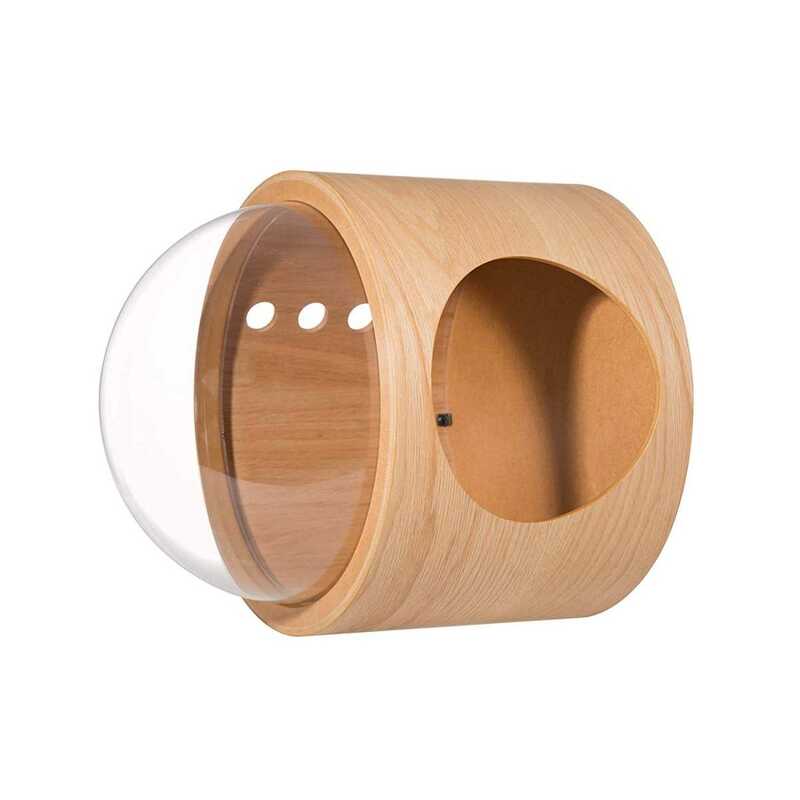 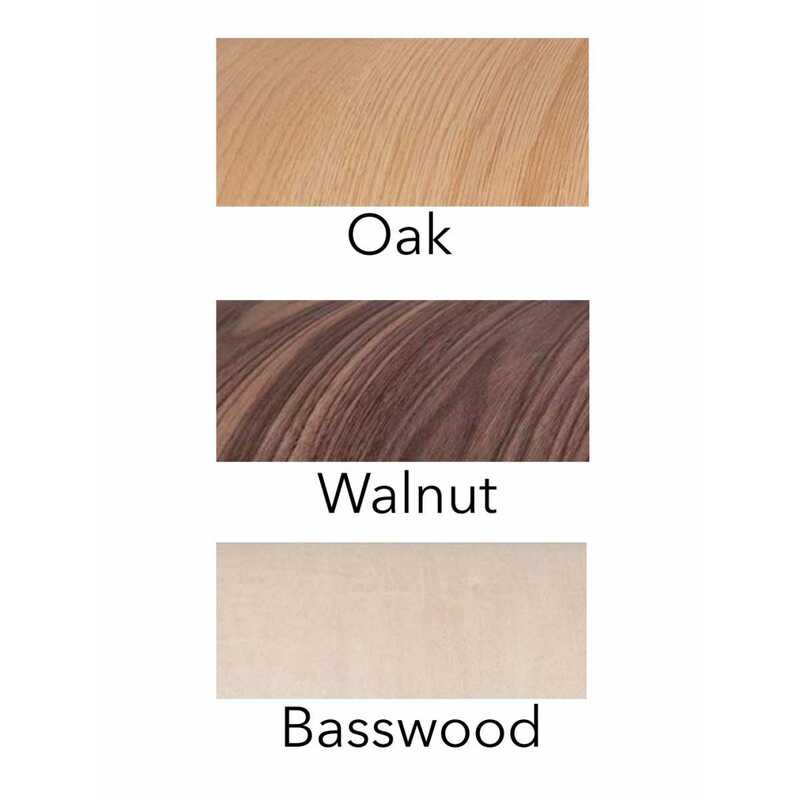 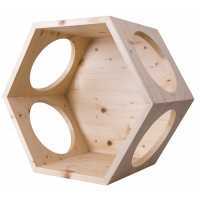 The attractive wooden body contains four air holes, allowing for air circulation and reducing echoes in the interior of the surrounded space. 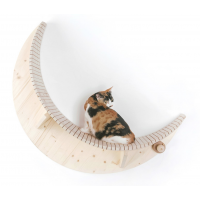 This versatile pet bed can be wall mounted a single unit, or, can be combined from other complementary pieces to construct a wall climbing system custom to your space requirements! 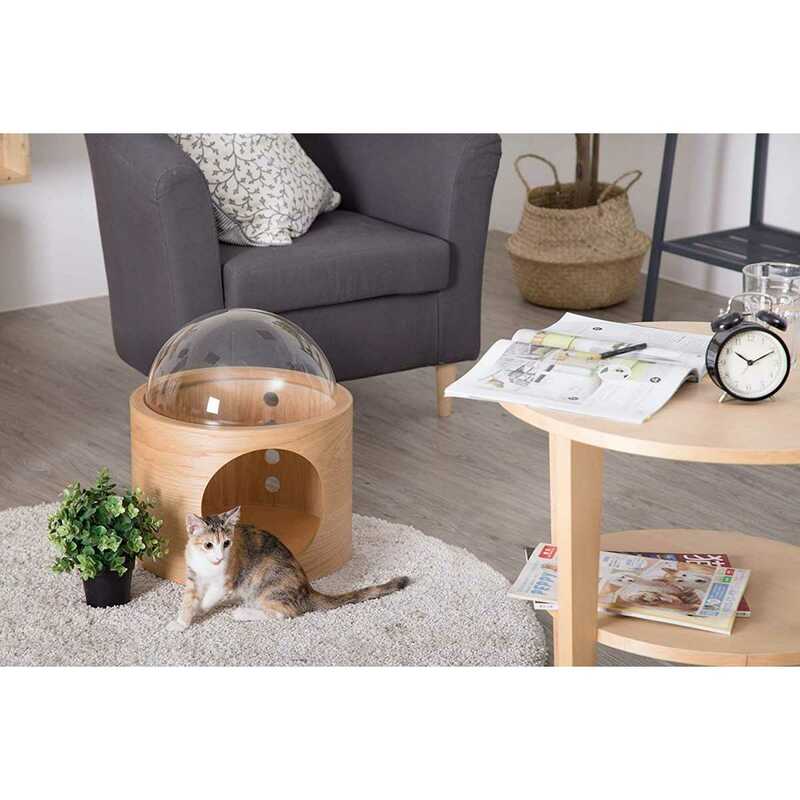 Or, the bed can be placed on the floor and enjoyed by your pet as a comfortable floor pet bed!